With the Philadelphia Marathon now two weeks behind me (wow that went fast!) – I’m happy to get back into a regular fitness routine. I was very happy not to be too banged up after the race, I think a sign that my fitness and training level was where it needed to be! After previous races, I’ve had a lot more pains and sort-of-injuries to deal with so I am glad (knock on wood!) that I haven’t had any issues to deal with this time around. But after two weeks of taking it easy I’m ready to focus on what’s next! Note: I put quotes around the term off season because to me…there is no off season. I’m never not working towards a new goal or trying to stay fit. I may not be actively training for a race, but I’m still giving it my all! Cross Training TWO days per week. 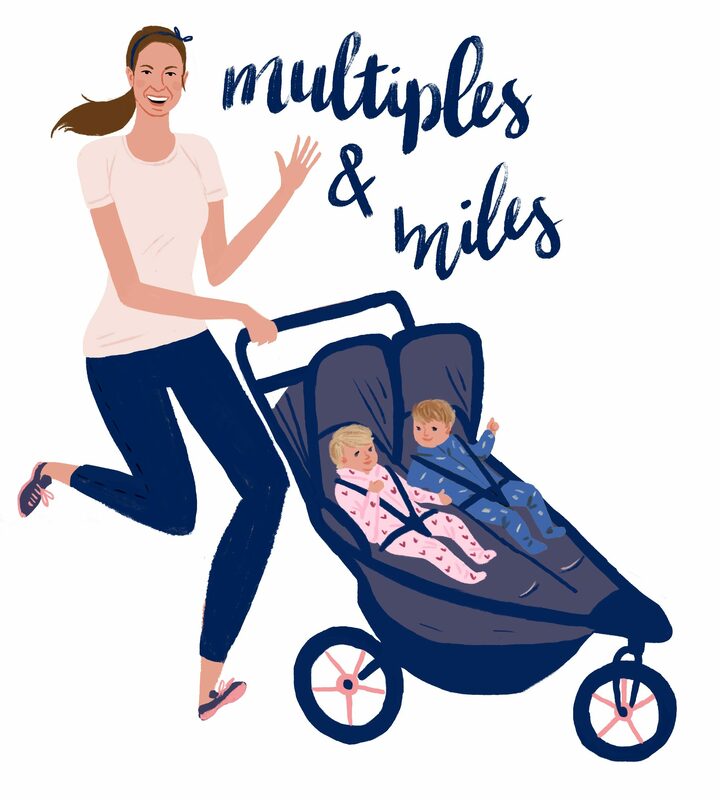 Whether it’s Fit4Mom Stroller Strides, Active Mom Fitness’ HIIT workouts, yoga, or an at home workout during naptime – I want to cross train twice a week in order to build strength and increase flexibility. I firmly believe cross training was key to my marathon success this past fall, and I want to keep it up for even more success in the future. 15 – 20 Running Miles. With two days of cross training on the schedule, that leaves me 3-4 days per week to run. So I think 15-20 miles of total weekly mileage is a great “off season” goal for me. It’s not so high that I’ll be exhausted, but at the same time I feel like I’ll be working hard to keep my fitness levels up. Plus, most of these miles will probably be with the double stroller! Work My Mental Game. I mentioned in my race recap that I struggled mentally more then I would have liked during the marathon. That’s something I really want to change for next time – and the best time to start is NOW. So during my off season and beyond I’ll be focusing on my mental game during workouts and runs. I have a feeling mantras and affirmations will be helpful for me so I am going to start there – but I’m open to any and all other ways to help strengthen my mental toughness! What are your goals and focuses for your “off season”? Or are you jumping right back into your next training cycle??! I want to know! Leave me a note in the comments below.